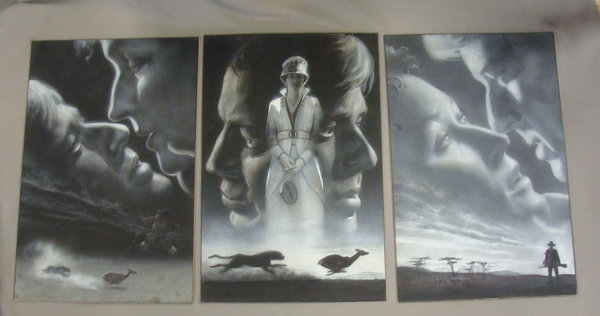 Up for sale is this great set of 3 wonderful original paintings for the film Out of Africa. These were probably done for the video release promotional material. These are the original paintings done in black and white gouache. Please see all the photos for details. The dimensions are 19" by 12.5"
The paintings are on premium art board and in very nice condition .